Alright, i know, i need to change the name of the blog. We are no longer in Arabia. 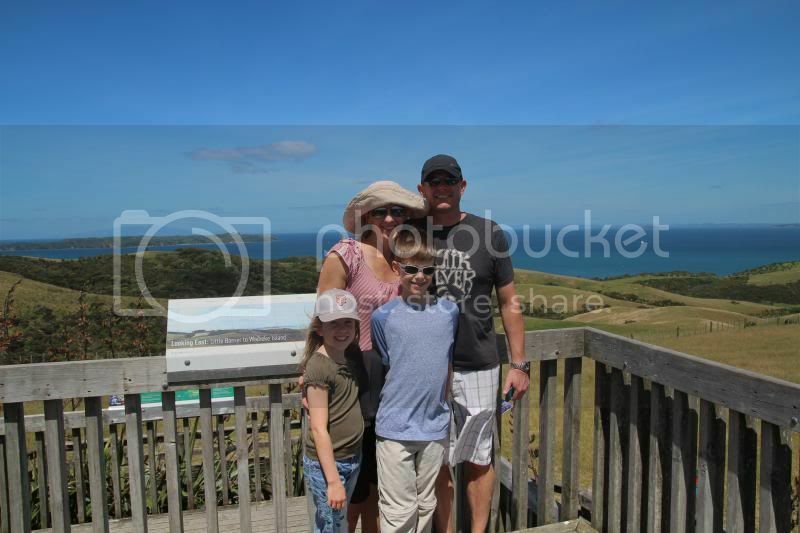 But the kids and i have also only been in NZ for 12 days and i can't say we i exactly feel settled anywhere. Our last 2 weeks in Dubai were spent at breakneck speed with activities and events all day long and late into the night. We went from a figurative 200 mph lifestyle to a complete dead stop here in NZ and i am still trying to get my bearings. Side note: i just so happen to really like that idiom phrase since it is defined as "based on the literal meaning of bearings (your position in relation to other things)." My flight over with the kids went something like this. 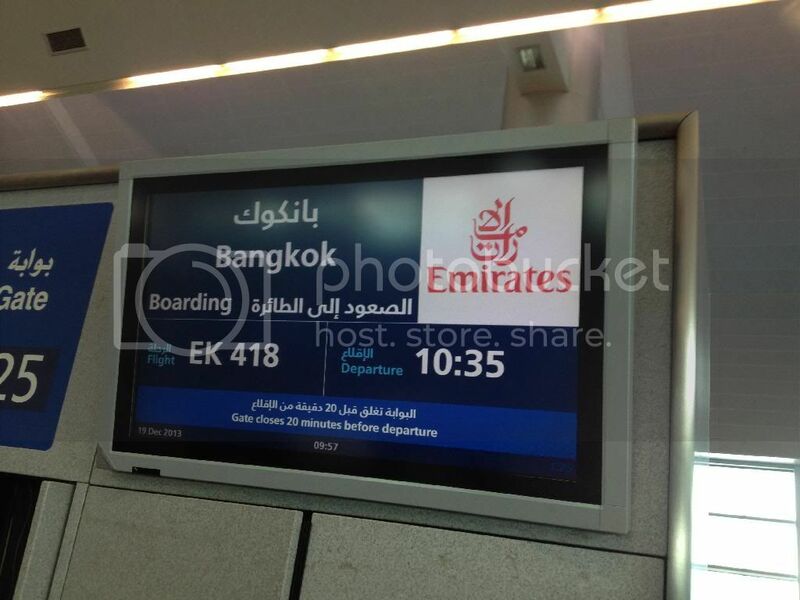 Flight # EK418 was a 19 hour flight. Just me the kiddos and 6 pieces of luggage. 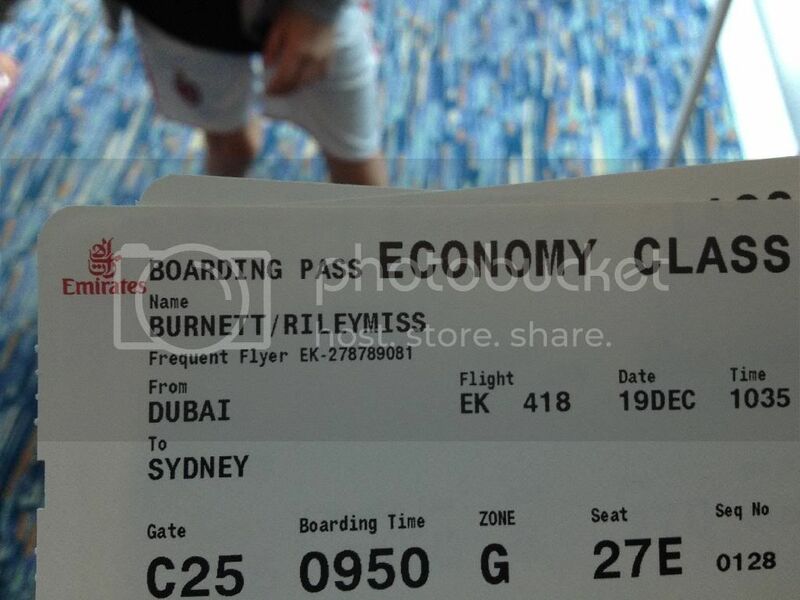 Dubai to Sydney~ plane change in Sydney then Sydney to Auckland. No problem we were ready. That is until we reached the actual boarding gate and the final destinations were flashing as TWO places we were NOT heading to. Bangkok and Christchurch?! i was assured by the agent this was indeed the correct flight. Just board the plane to Bangkok/Christchurch. "You will stop at Bankok, get off, go through customs and get back on the exact same plane. Then you will stop at Sydney (even though there is NO mention of a plane stop in Sydney) where you will get off go through customs. 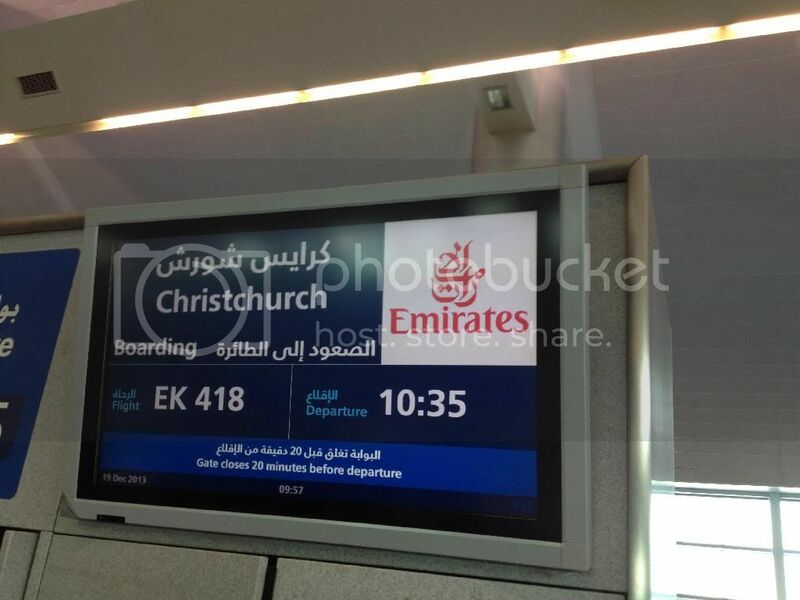 Flight 418 will continue on to Christchurch but you will change airlines to fly to Auckland." Awesome. Our flight became a 24 hour flight just like that. Meanwhile Chris is texting me, "That can't be right! Don't get on that plane!!" Yep! It was a pretty great start to our move. In the end we did get there as the agent advised just NOT as was listed on the original booking. We each watched about 8 movies, ate 7 meals, reminisced about our time in Bangkok LAST Christmas while actually IN Bangkok, slept about 3 hours and had our feet in 4 different countries. We are officially all in NZ! Chris was amazing and set up our tiny temporary place (and by that i mean it better be temporary or we may not all make it out alive). He earned extra husband points for not only having the apartment fully stocked with goods, but he also bought and put up a completely decorated Christmas tree! Notice the silver shiny presents underneath, he invented a new form of gift wrapping...Tin Foil! 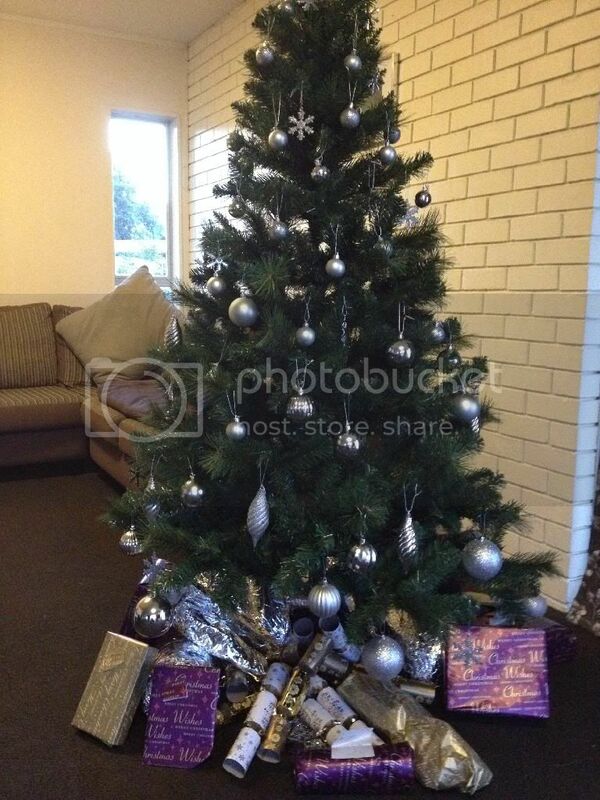 It matches the tree and can be done without scissors and tape. Great additions to the presents i had pre-wrapped and sent from Dubai. Moving internationally during the holidays is not something i recommend. i think we are super blessed to be able to see so many different parts of the world but Christmas in a new country where you know not a soul can be a bit lonely. Thankfully i have a wonderful little family that surrounds me and for my birthday i was treated to text and Facetime conversations from friends in multiple time zones and countries. My Cup Half Full says living in another hemisphere is great because now i can find a friend to call or text at any hour of the day or night. We now have multiple time zones to work with. 21 hours ahead of California and 9 hours ahead of Dubai. 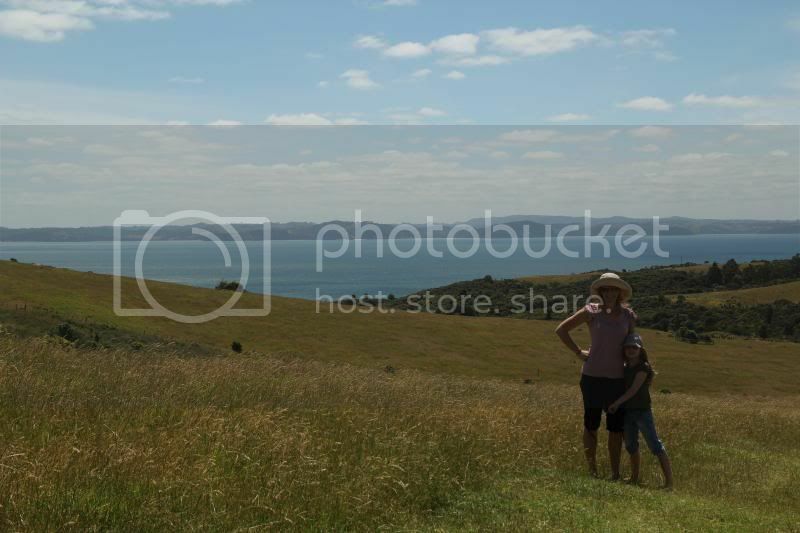 For now i can tell you that NZ is quiet, with scenic green hills and beautiful oceans. Running here is amazing but tough as everything is directly uphill or downhill no in-between. A NZ summer can be colder than Dubai's winter which is funny because many people have been cheering my "summer" Christmas. If only they knew so far most of the time i am in a sweatshirt whilst everyone else here is swimming in the ocean.... Brrrr! We have been exploring areas and house hunting. We will be renting during our time here and are learning that kiwi homes are very different from those in the states. The other day a real estate agent poked fun at how "you Americans sure love your bathrooms" because we requested to look at homes with more than just one bathroom. Future visitors to our NZ home take note! Obviously we are still making our way in NZ. The area is lovely while seeming foreign in yet a different way than Dubai did. Oddly enough i feel like one foot is still partially planted in Dubai since we are still trying to navigate this area. The fact that NZ shuts down almost completely for 2 weeks over Christmas has been a challenge for me as its hard to start feeling like this really will be home. Chris on the other hand feels completely at home here and even has mastered the "other side of the road" driving while i am happy to be able to walk most places. The kids love it as there are so many outdoor places to play. We are excited for the adventures ahead and are waiting to settle into a more permanent home. Looking forward to see what is in store for 2014! Thanks for your NEW blog. I think this was good for you to kind of down load, what you have been through over the last 2 weeks. Mom and I talked quite a while last night. 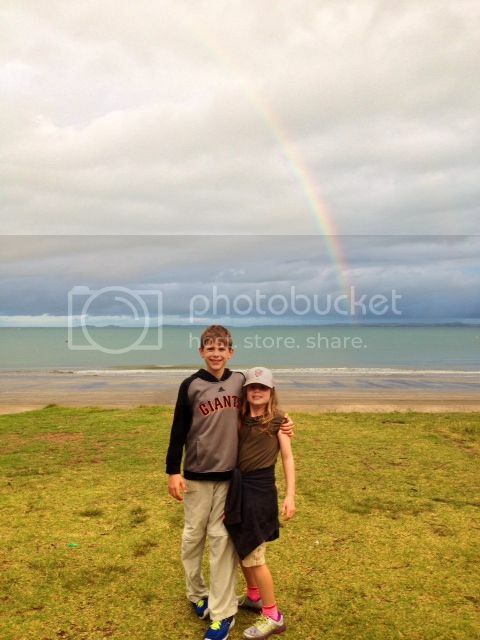 Hope you keep this blog, even though it is in NZ. I loved reading about all your adventures! Thanks for posting!!! Have a great New Year!!! So there's a problem with wanting a house with more than 1 bathroom?? I live by myself and have 2 bathrooms! Your blog made me chuckle! You will have some fun keeping track of all the time zones and who might be awake to chat when you're ready to chat! Loved the Christmas tree - and the creative wrapping! Just think what else that engineering degree might be good for! Looking forward to more updates when you have time to post.